The conversation from one of our classes this week focused on the topic of mind reading versus intuition. In coaching, we talked a lot about intuition, helping our clients really understand themselves at a deeper level, helping them to see the edges of life that they really can’t focus on yet. It’s really the basis to those “aha moments”, finding success, finding clarity and moving forward. But in order to do that, often we must help our clients move outside of a disempowering perspective. 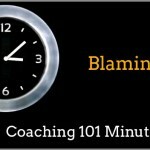 And also for us as coaches, we must move outside of a disempowering perspective as well. So even though we talk a lot of times in coach training about how to help your client to find their own truth, we must also, first and foremost, look at ourselves and move ourselves away from disempowering perspectives so we don’t bring that into the coaching relationship. And one of these disempowering perspectives is mind reading. I’m not talking about magic, no magic tricks. But really, we’re looking at learning the concepts of intuition. It can almost seem as though we are mind reading. So when I say mind reading, what I mean is making assumptions about people in how they feel, why they are acting the way they are and how they feel about you. Now, often this is based purely on looking at yourself. You know we see the world through a specific lens through our own perspective and we may think that everyone else sees the world in the same eye view. When in fact, everyone sees things differently. So as a coach, we aren’t there to assume that our client sees the world similarly as we do, we must remove ourselves from that completely. This really comes down to projection, we are projecting ourselves onto other people. You imagine that people feel the same as you do, react in a similar way as you do. Therefore, you aren’t watching or listening carefully enough to notice that there are actual differences. Mind readers really jump to conclusions that are not true for them without really checking if they are true for the other person. 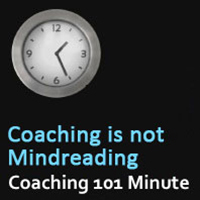 So as a coach, one of the first things that we do is help our students to move away from this mind reading. So it comes down to active listening. how to move away from mind reading and projecting and move into a place of being open and helping the client to see things clearly. So there are a few different things. It’s the process of giving the speaker non-judgmental responses in a way that you are checking the accuracy of what you’ve heard and whether or not, you fully understand the message the speaker was attempting to communicate. So there are a few different components to active listening that we’ll just mention here. Paraphrasing which is really taking the main idea of what the client is saying and speaking it in your own words just so you understand what they’re saying even check that reference, check that understanding and allow that client to correct you if you need to. Clarity. ‘Would you clarify that?’ Asking for clarity. Giving feedback is not about your opinion. It’s really feedback, summing up what the client has said more for their own understanding and not for yours. It’s to help that client understand themselves more. Reflecting feelings, emphatic listening. Letting the client know that you feel, you understand what they are and what they’re going through. So really, to combat, if you will, the mind reading issue is to go back to active listening and to make sure that you are really fully dialed into that client, you’re not making assumptions about how they feel or how they see the world. Because chances are, it is going to be different than how you see the world in your own eyes. What are the similarities between mental health and coaching? What are the similarities between coaching and consulting? I do have a background as a mental health professional or as a consultant, will that help me or will that cause a disservice to my learning’s to become a coach? If my background is not associated with coaching or mental health or consulting, can I still be a coach? If you’re interested in learning more about anything we’ve talked about so far in our recap or anything else about coaching or the coaching industry, I really encourage you to come to one of our next week’s Coaching 101 teleclasses.